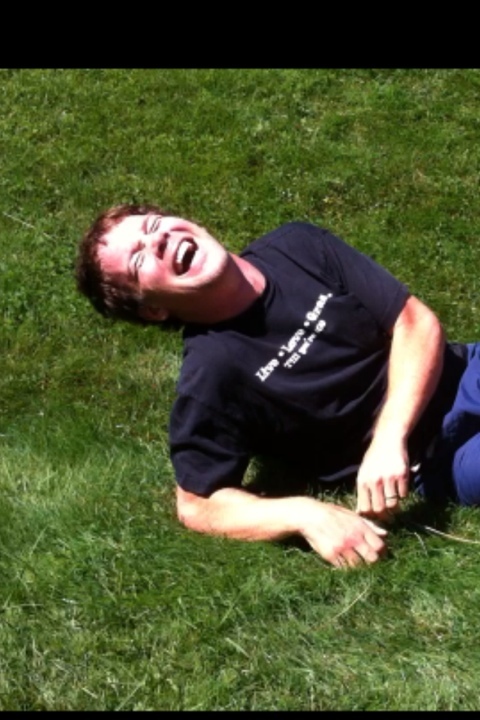 I told Sean that I want to roll down my dads hill before he leaves from this filming session. Why? Why not? It’s fun! It’s not the cliffs or bridges or cornices I used to jump or the waves I used to surf but… Still fun! That’s joy. Go find your joy for today. You may notice that I anticipated the snap count and may, possibly, have jumped offsides. But I don’t see a flag anywhere. Winning. This entry was posted on August 25, 2011 by STEVE GLEASON. It was filed under Camp Fire . LOVED IT! Our Joy today is taking Gma Jackie and the kiddos to Kids Town and the Denver Science and Nature Museum. And, joy for the parents whose kids will sleep good tonight because they are completely worn out! Dude I love that because I can say I have rolled down that hill in the past 2 years for sure. I mean how do you look at the front yard and not think of a roll off…. obviously it’s impossible not to. My Joy for the day is the ability to choose my attitude and make today great. It didn’t start that way but now I’m having an internal dance party and I can’t keep the smile off my face. Young Gleasy – Seeing you’re attitude of “Win by any means necessary, even in a roll off with your friends” – is my joy for the day. BTW – Michel always sounds impatient, but don’t tell her I said that. “Seek my joy”, it’s my new motto for my new life. Thanks for inspiring me. This is my absolute favorite post of your whole trip. Love you lots! ahhhhhh i needed this today. thanks guys. love.